The Snow White Hotel is located just few meters from the wonderful beach and 500 meters from the centre of Marotta, a lovely seaside village in the north of the Marche. This small hotel is run directly by the owners and offers a holiday dedicated to relaxation, the ideal place for those who want to enjoy a holiday at the seaside and with an excellent and healthy cuisine. The kitchen is an important aspect of our hospitality and our region. The cuisine is characterized by traditional fish and meat dishes (appetizers, first courses, as well as grilled and fried dishes). Anyway we should not forget the infinite variety of sausages, cheeses and wines, traditions that the Marche region has maintained over the centuries. 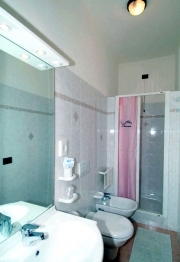 The hotel has spacious and bright rooms, all modernly furnished with TV, telephone, VHS-DVD, digital decoder, air conditioning, hot and cold water, bathroom with shower and hairdryer, large themed paintings in the rooms and an Internet wireless connection in all rooms (The first and only hotel in Marotta di Fano that offers this service). 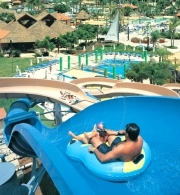 For children and youth, the Snow White Hotel offers all that makes them have fun. At our private beach you will find a beautiful fenced playground for children with the possibility for the deposit of toys (pallets, pails and more…). All-day entertainment. In addition, not far away, about 15 minutes walk and only a few meters from the beach, you’ll find a modern mini-golf course, where you can challenge your family members and friends. Not to forget the casinos along the boardwalk and the Miu Miu Disco a few hundred meters away from the highway exit Marotta, where you can dance all night long. from "Snow White and the 7 Dwarfs"
Start preparing the filling by blending the ricotta in a bowl with the 2 eggs, the basil, the chopped mozzarella, a pinch of salt and a twist of freshly-ground pepper.